Port Chester Dog Park | Where dogs come to run and play and neighbors become friends! National Dog Park Day 2018! Good News! May 5, 2018 is National Dog Park Day! And to celebrate, the PetSafe Port Chester Dog Park community is all getting together for Spring clean-up and some fun free raffles and giveaways. That’s right! FREE Raffles and Giveaways compliments of PetSafe! We’re going to spruce up the dog park for the Spring and Summer months and have some fun while doing it. Join us at the dog park on May 5th from 10:00am to noon, let’s have some fun! Stop by this year’s Pawsiversary Event at the Port Chester Dog Park! Saturday, Sept 23, 2017 between 11am and 3pm (rain date: 9/24). Low Cost Microchip Clinic at the Port Chester Dog Park Pawsiversary event on September 23rd! Check out the 1st Pawsiversary Pics! 1st Pawsiversary Party and Microchip Clinic! Hurray! There will be a Microchip clinic at the Port Chester Dog Park Pawsiversary event on September 24th from 11am-3pm. See you there! Pawsiversary event on September 24th from 11am-3pm. It’s been almost one year since our beloved dog park opened! Gather your friends, family, and pups and let’s have a Pawsiversary Party at Abendroth Park! September 24th from 11:00am to 3:00pm — Let’s celebrate! Thanks Christine for participating in the 2016 Port Chester Dog Park T-Shirt Challenge. T-Shirts will be available for sale at events that we table at (we’ll be sure to let you know when that will be). The Port Chester Dog Park Group is having a T-Shirt Design Challenge!! Submit your new idea for a T-Shirt design on or before 3/31/16 and your design could be chosen for the next T-Shirt printing! 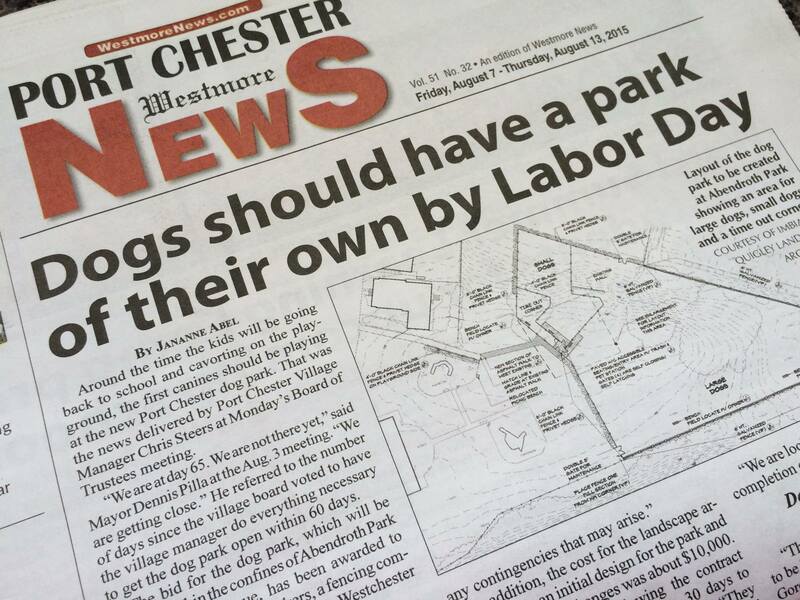 Consider donating to the Port Chester Dog Park on #GivingTuesday. 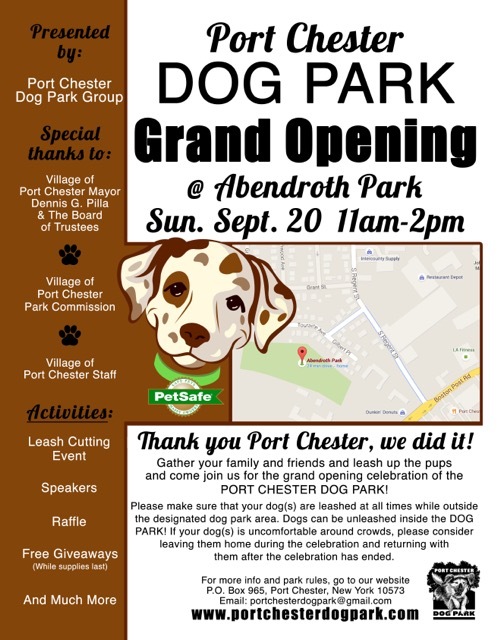 The Port Chester Dog Park is OPEN!!! TODAY IS THE GRAND OPENING!!! GIVEAWAYS, RAFFLES, MUSIC, AND MORE! 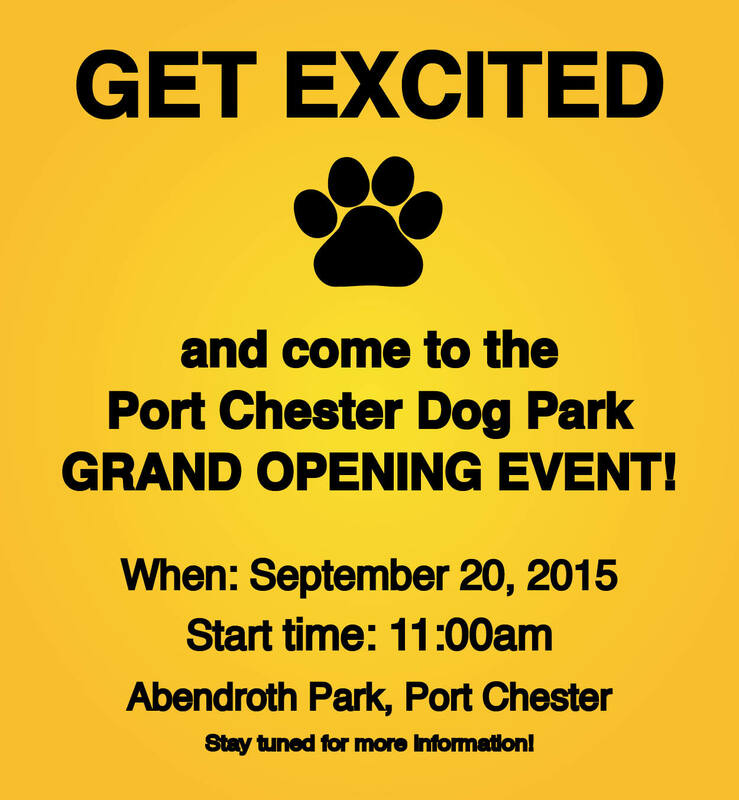 DON’T MISS THE GRAND OPENING OF PORT CHESTER’S VERY OWN DOG PARK!! 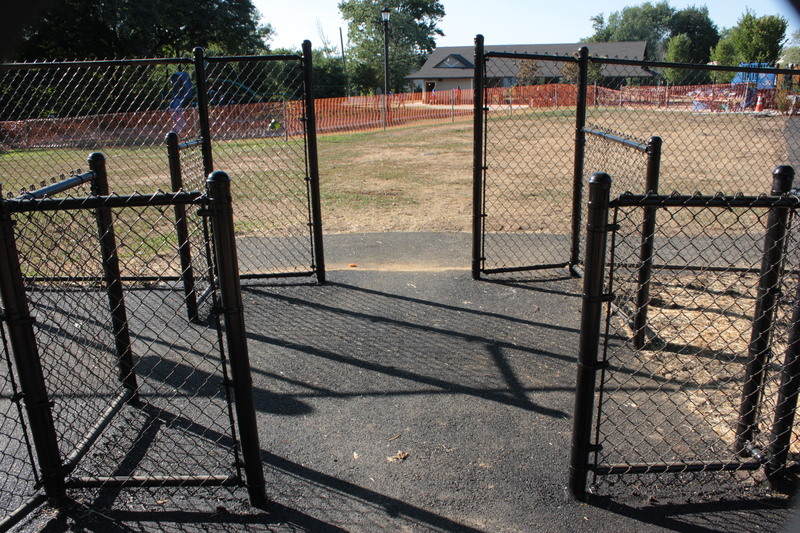 We are just waiting for the Village to give us the final word on when all of the construction fine-tuning and clean-up will be done so the Port Chester Dog Park can open. The Dog Park is under construction! We have surveyor marks, temporary fencing and even some of the real fencing already up! The Village is still saying the park should be done by Labor Day!! Woohooo! While we’re waiting for an official Summer 2015 opening date from the Village, we are hard at working preparing the fence dedication signs for printing. If you want a fence dedication sign with your name on it for opening day, act quickly! Here’s the link for Fence Dedications. 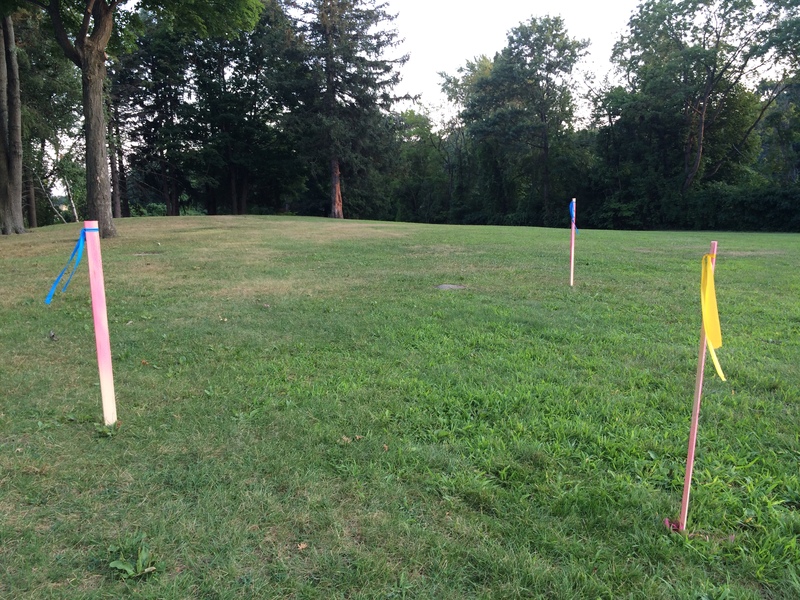 The Port Chester Dog Park Group, a community-based grassroots association, has been leading the charge to raise the necessary money for the development of the dog park. 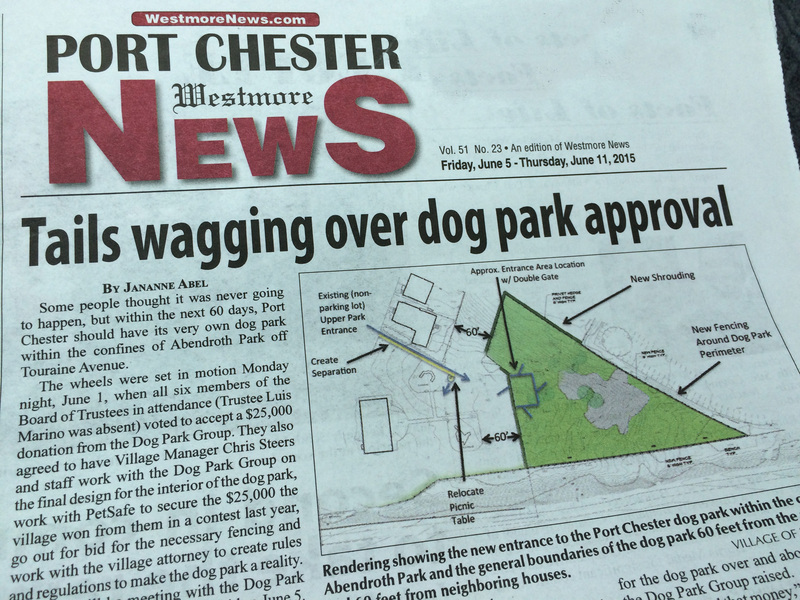 On June 1, 2015, the Port Chester Board of Trustees approved a resolution accepting the group’s donation of $50,000 and requesting the dog park be built within 60 days!